It’s a pretty big statement to make that eating plants will improve sports performance (energy, strength and endurance) and recovery, especially if you look at what’s promoted in the media and elsewhere, where you see such emphasis on animal protein and an increasing push for us to consume processed energy bars and drinks. 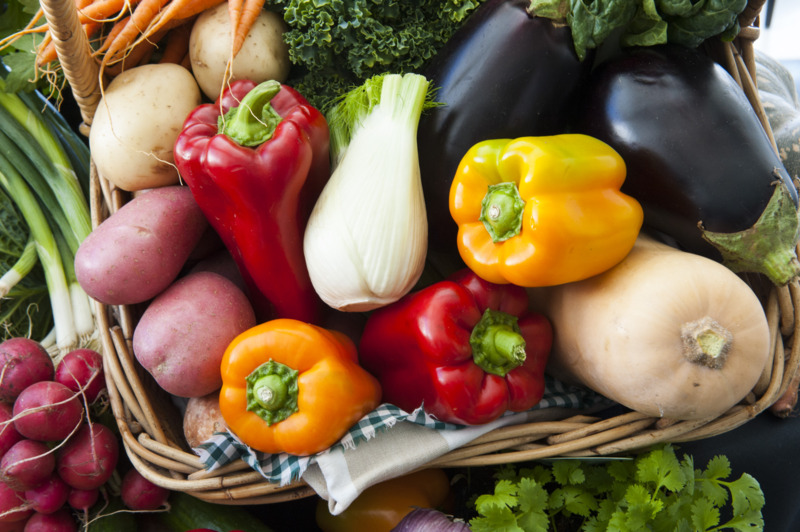 So, why would a plant-based diet be so effective? When you consume processed and refined foods, a large proportion of these nutrients are sacrificed. You will also acquire all the toxic baggage that comes with these foods, including excess fat, protein and cholesterol, refined sugars, refined flours, artificial colours, additives, preservatives, and more. Stripping out/adding in food components ensures that you get the wrong proportions for promoting good health. We’ve already seen that we get enough protein if we eat enough food 2 – it’s as simple as that. The amino acids in a balanced diet of fruits and vegetables will always be sufficient to build muscle. Additionally, the vitamins, minerals, and antioxidants that come naturally packaged with plants will ensure that we remain healthy, so we can exercise regularly and turn consistency into results. 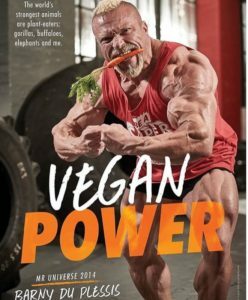 If in doubt, just look at the plant-based athletes 3 4 who demonstrate so convincingly that a whole food plant-based diet results in optimal health, superb athletic performance, and impressive muscle-building. Wholefood plant-based diets may not only enhance performance but also improve recovery due to the fact that non-animal, unprocessed foods will contain lower amounts of chemicals, toxins, harmful dietary cholesterol and fat. This is a preventative measure that means the body doesn’t have to divert resources to clean up the pollutants from within and between cells. A plant-based diet supports recovery by providing a mass of phytonutrients (antioxidants and anti-inflammatories) that are unique to whole plant foods. These powerful agents deal with the free radicals that are always formed during exercise – thus helping to support the rebuilding process. As we’ve already seen 5 , plants also contain all the amino acids our muscles need, so our bodies have the necessary components to build up and repair muscle after a workout. Inflammation and muscle soreness can be due to poor sleep. If you’re eating a large amount of meat and animal-based foods, digestion may also be keeping you awake at night . Animal-based foods not only take double the amount of time to digest as plant-based foods, but many increase inflammation in the body known as C-reactive proteins. These contribute to inflammation, muscle soreness, and even an unhealthy heart. Plant-based foods are high in raw sources of vitamins and minerals like magnesium, potassium, B vitamins, vitamin C, and vitamin E to reduce inflammation and support health on all levels. Finally, another huge benefit of getting your protein from plant-based sources is that they are relatively non-acidic compared to the more alkaline animal-based sources. An alkaline diet helps to prevent muscle wastage 6 and offers other significant health benefits 7 – all of which contribute to improved recovery. 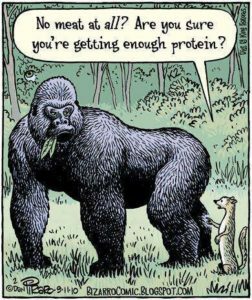 As the influential plant-based athlete Robert Cheeke points out in his book ‘Plant-Based Muscle’8 , if we eat whole plant foods, we get the highest amount of nutrients we can get. Plants are the foods with the highest nutrient density, as opposed to the processed and/or animal foods that are the highest in calorie density. What all those nutrients do, when consumed in balance, in the “package” they were supposed to be consumed (that is, inside whole plants like fruit, vegetables, legumes, whole grains… and not extracted into supplements), is that they improve athletic performance on all levels. Because whole plants contain complex carbohydrates, they give a steady, continuous, long-lasting supply of energy. The vast array of vitamins, minerals and phytochemicals with anti-inflammatory properties will also protect us from injuries. We’ve looked previously at both the benefits for sports performance from eating nitrate-rich plants 9 and the importance of efficient nitric oxide production by the endothelial cells within the walls of our blood vessels 10 ; so it’s no surprise that the nitric oxide contained in the plants we consume allows us to improve blood flow and thus oxygen supply to our muscles. The result of this is that muscle-function improves. Plants naturally contain lots of water, thus preventing cramping, dehydration, and related problems. Have you ever stopped to think about the diets of the strongest animals on the planets – cows, elephants, gorillas, rhinos, hippos, horses, etc?